The price of silver is up 41% year to date, and we expect it to keep climbing. That's why we're recommending three of the best silver stocks to buy now. You see, silver stocks are boasting even bigger gains than silver itself. Silver ended Q1 2016 as one of the top-performing asset classes, with gains near 50%. Silver stocks closed the quarter with even bigger gains. In fact, every spot on the list of top 10 market performers in the first three months of the year was taken by silver exchange-traded funds (ETFs). And all 10 ETFs had triple-digit gains. The three biggest reasons for the silver price rally of 2016 have been volatile markets, the rising use of negative interest rates, and fears of a global recession. Plus, the Fed's inaction in raising interest rates has been bullish for silver. The gold/silver ratio, which is the amount of silver it takes to buy one ounce of gold, has also boosted silver prices this year. The ratio traded at an average of 83 earlier this year. That was extremely high compared to its historical average of 47 to 50 over the last century. When that number is high, it means silver is undervalued compared to gold. Recently, silver prices have pulled back from record highs. But Money Morning Resource Specialist Peter Krauth said a pullback was to be expected before silver could rally again. All of the issues about the global economy and negative interest rates continue to plague investors. And the upcoming U.S. presidential election has investors on edge. It's no wonder silver prices are up 1.6% over the last month. Volatility is back in the market, and that has investors seeking refuge in safe-haven assets like silver. The CBOE Volatility Index spiked 13% Thursday as the S&P 500 Index slumped 0.9%. Many products used to make short-term bets on volatility enjoyed record volume in September. The high demand in these investments reflects investors' desire to hedge their market risks. After seven years of a bull market run, investors are nervous and wonder when the big drop is coming. Roughly 73 million shares of the ProShares Ultra VIX Short-Term Futures ETF (NYSE ARCA: UVXY), which bets on VIX futures, changed hands last Thursday. That was the third highest total ever. All three of the biggest trading days took place this month, with Sept. 13 topping the list at 92.1 million shares. Sept. 9 came in second at 76.4 million shares. Investors anxious about market direction frequently turn to silver and silver stocks. Silver coins and bars are one option for investors and are the purest way to play silver. Silver coin sales in Q1 increased 23% year over year (YOY) to 14.8 million, according to the U.S. Mint. Yet some investors find physical silver investing burdensome. Delivery, insurance, and storage fees often prompt investors to seek an alternative way to play the space. Silver Stocks to Buy: MAG Silver (NYSEMKT: MAG) is based in Canada and works in Mexico. Analysts are upbeat on MAG. In early September, investment firm Desjardins raised its price target on MAG from C$19.00 to C$22.50. BMO Capital Markets put a price target of C$25.00 and a "Market Perform" rating on the stock. In June, Canaccord Genuity initiated coverage of MAG with a "Speculative Buy" rating. In July, National Bank Financial increased its target price on MAG from C$19.00 to C$22.00. MAG shares have climbed 120% year to date. Silver Stocks to Buy: Tahoe Resources (NYSE: TAHO) is a mining company that works in North and South America. TAHO had quarterly earnings of $0.19 in early August, which topped estimates by $0.05. Revenue soared 70.6% YOY to more than $228 million. Based on first-half results, TAHO expects to hit the high end of its yearly guidance for silver production. That has stoked interest from smart-money investors. A recent filing shows that hedge fund Bridgewater Associates has amassed a roughly 200,000 share position in TAHO. At $13.11, shares of this silver stock are up 51.21% this year. 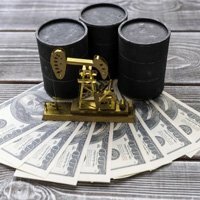 Silver Stocks to Buy: Impact Silver (OTCMKTS: ISLVF) is a Vancouver-based mining company that operates in Mexico and the Dominican Republic. On Aug. 23, Impact Silver posted Q2 2016 revenue of $4.4 million, a striking 61% YOY increase. Higher silver prices and higher production were responsible for the substantial revenue increase. Mine operating revenue improved by $1.3 million in Q2 2016, compared to loss of $0.2 million in the same period a year earlier. At $0.59, shares are up a blistering 635% year to date. 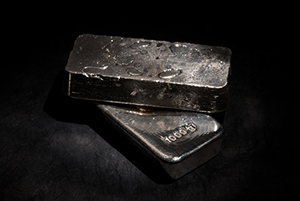 With silver prices expected to rise further, Impact Silver shares likely have more upside. But since this is a low-priced penny stock, ISVLF is a speculative buy. So as with any low-priced stock, any purchase should represent just a very small portion of your portfolio.